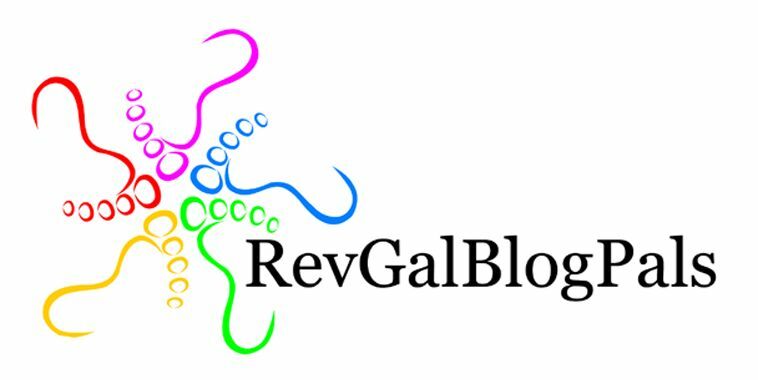 The place where Marci blogs about God's abundance. Don’t you just love Amos? He’s the theological equivalent of the old man telling the kids to get off of his lawn. He doesn’t want people to like him. He doesn’t consider his words for whether or not they will hurt your feelings or offend your sensibilities. He’s that guy you never want to have show up at your dinner parties because he always, always, always depresses the other guests. He isn’t wrong. You know he isn’t. And that almost makes it worse. But we just don’t like people who publicly point out our failings in such stark relief. Geez, Amos. How do you really feel? We hide the prophets somewhere in the middle of the Bible so they won’t harass us with their observations on our greed, our self-concern, and our disregard for God’s instruction to us to care for the poor. We don’t tend to build liturgical seasons around prophets, unless we pull verses out of Isaiah to make it look as if they want us to have a Merry Christmas. We try our best to marginalize prophets. We don’t give them a seat at the table. We leave them in their camel’s hair cloaks, with honey matted in their beards, standing at the city gates, removed from halls of power. It is easier for us to dismiss them when they are calling us ‘broods of vipers’ than it is to really give their voices the respect they deserve. The land is not able to bear his words. We just can’t take it. Make it stop. We feel we can’t bear the words from the prophets, but the truth is that we need the prophets. And in 21st century America, we need Amos. We need truth tellers, inconvenient as their truths may be. We need to be reminded that God cares more for the poor than God cares for our luxuries and comforts. We need to be reminded that the way we live now matters for the Kingdom. We need Amos. Who are the prophets in your life? Who are the people saying things to you that you’d rather not hear? And here’s the question where preachers fear to tread, but how prophetic is your faith calling you to be? Is your faith challenging you to say things that are true and unpopular? Is your faith forcing you to see the world through different eyes? While we are all called to proclaim the Good News, even as it contains inconvenient and uncomfortable news, people who step in to the pulpit each week face that struggle in real ways. Prophets like Amos and Bishop Robinson call us to attend to the responsibility that comes with being people of faith, people entrusted with a radical Good News that must be proclaimed. Preachers want to speak the truth as we receive it. But we want you, the congregation, to like us! We do love the gospel, but we also love job security. We want our sermons to challenge people, but not to inspire them to pick up their pitchforks to run us out of town. If Amos were more prudent, if he had any say in the matter, he’d still be dressing sycamore trees and tending the herd. And this is where I invite you to attend to Amos. Because it was the Lord who took him from what he wanted to be doing, and sent him to preach that imprudent message in this evil time. When we hear those inconvenient truths from the prophets in our lives, when we are compelled to utter these truths, we should ponder where God’s voice is in the process. Because, short of angels descending from the clouds blowing trumpets and announcing that God is about to speak, we end up being God’s voice for each other. We can tell God what a bad plan this is all we want. We can let God know that we are terrible choices to speak for the Divine. We can let God know that those other people are even worse choices to deliver the message. But the fact remains. God chooses to deliver words of correction, of hope, of promise, and of judgment through the voices of prophets, through people like you and I. So how are you going to deal with the people who deliver God’s word to you? And how are you going to deliver a word that people might just not want to hear? I have a friend who is stuck being a prophet right now. She would love to leave her community, because they have isolated her and cut her out of the process. They don’t like what she has to say, and cannot bear the weight of her words. And she wants to go. She wants to join another community where she would be safe, and welcome, and nourished. And so she has stayed. And as hard as it is for her to be there, she knows that there are others in the community who agree with her but who have been silenced by threats and intimidation. She knows that she speaks for those voiceless people. And so she has stayed. She has been waiting for God to tell her she can go back to her proverbial sycamore trees. And her presence in that community as an inconvenient truth teller is more important than even she realizes. She knows it would be more prudent to be silent in such an evil time. But God is not calling her to be silent. God has called her to be a prophet. She’s not a pastor. She doesn’t have theological training. She’s not quite a dresser of sycamore trees as Amos was, but she never went to prophet college either. And yet God is using her to be a voice of courage for people under attack. God is using her to speak God’s truth to people who are seeking their own agendas. I am so thankful for her witness and her courage. But when God calls you to use your voice, what are you going to do, right? Sadly, there are many times when we don’t use our voices to speak for justice. We are more concerned with peace and security than we are with God’s insistent voice in our ear. “There is a diminished sense of self that comes from coerced silence in the church. It is wearying to remember what not to say, all the while the words grind our guts. Take stock of the truth that you have been given. When he finished delivering that charge and blessing, there was a collective gasp in the room from the gathered pastors. We wanted that freedom to proclaim. But we also understood the words that grind our guts. By the response in the room, you could feel the toll that “coerced silence” had taken on those clergy. In the midst of Amos’ call to repentance is ultimately a call to LIFE. That is the call of a prophet. To remind people of life when the world around us preaches a message of death. To remind people that life is to be lived now, not just for our own ends, but for the benefit of the community around us. To remind us that God has bigger plans for us than we can imagine. And to be the voice for the voiceless, the champion of the oppressed, and the companion of the just. I know you don’t want the job. Neither do I. Neither did Amos, or Jonah, or Jeremiah, or Isaiah, or my friend. But the message has been entrusted to human voices. So go and use yours. And go and listen when God speaks to you through others. And respond with joy for the life that is promised. October 28, 2012 in Amos 5, Prophet, Sermon. I was going to ask you, what about the counterexample of Jonah, but I see you got there. I very much like the point that repentance of our silence about situations that are killing us frees us from something. It may have other costs, but that initial feeling of release (I am not hiding how I feel about this any more) is unbelievable. I’ve gotten there recently on the question of marriage equality. Yes. The cost of silence has become too much to bear on that issue for me as well. We are challenged by the truths we know in our grinding guts to take what Amos offers us this morning. He says, “Seek God and live! See good and not evil, that you may live.” This is what prophets do. Prophets remind their people of life, rich and abundant life when the world around us is tempting people with messages of death. Prophets remind us that life is to be lived well now, not just for our own ends, but for the benefit of the community of which we are a part and today we know that community is not just Bloomington or our nation but it is the whole world. Prophets remind us and show us that God has bigger plans for us that we could ever imagine and that we are called, lured to be the voices for the voiceless, the champion of the oppressed and the companion of the just. Gordon, would love to live into Al’s admonition! This work by Rev Marci Auld Glass is licensed under a Creative Commons Attribution-ShareAlike 3.0 Unported License.